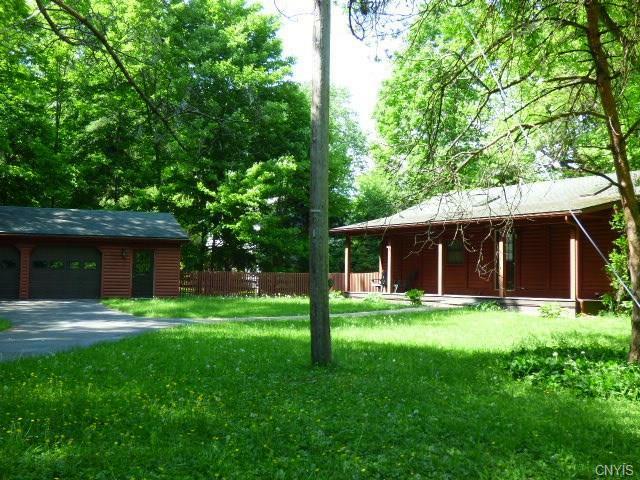 Outstanding split log home on peaceful Craine Lake w/tranquil waterfront and beautiful wooded yard. Even a fenced in portion for little ones or pets! Two car oversize garage w/shop space and house that opens up to offer wonderful year round living! Interior includes custom built cherry kitchen, cherry finishes on walls, ceilings and floors in some rooms, sky windows. In floor heating and many amenities that you'll love!